A native of Philadelphia, Phyllis studied design at the Moore Institute of Art. 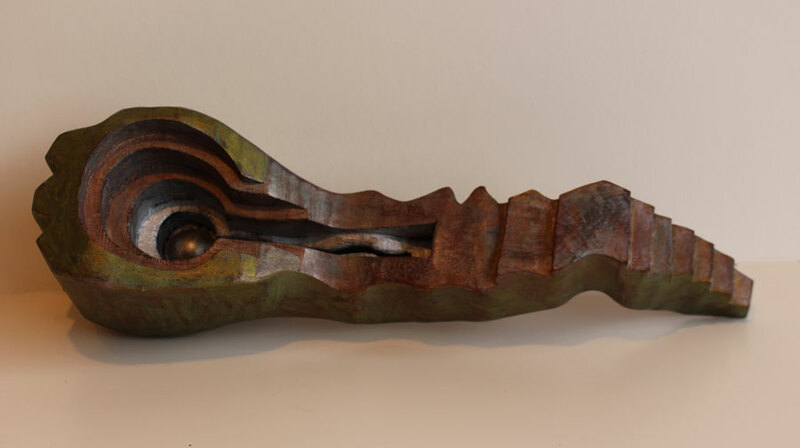 In 1954, she moved to New York City and began sculpting while attending Hunter College, graduating in 1962 with a B.F.A. Among her teachers were painter William Baziotes (watercolor) and sculptor Tony Smith (graduate design). In 1965, she graduated from the Pratt Institute with a M.F.A. in Sculpture. Phyllis is a Fellow of the Pratt, a Fellow of the New York Foundation of the Arts, and a recipient of a NEA Planning Grant. She was also awarded an Artist-In-Residency by the Robert M. MacNamara Foundation, Westport Island, Maine in 2004. 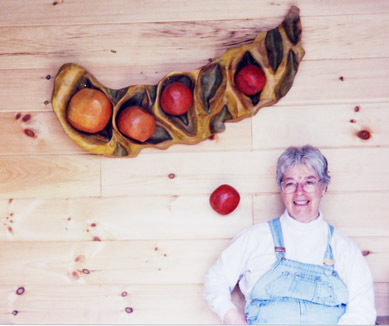 In her work, Phyllis has concentrated mainly on wood sculpture but has also exhibited in pewter, watercolors and monotypes on paper. Her subjects over the years have varied from “journey” abstract work, both wall and free-standing, to a series of hand/nature pieces. Besides indoor pieces, during the 80’s she exhibited a number of interactive temporary outdoor sculptures in Maine and the New York City environs. Phyllis has mounted solo shows at Davidson & Daughters, Portland, ME, the Gibbs Library in Washington, ME, and The Waldoboro Window. Group shows included the highly visible “Touchstones” exhibit in Bar Harbor, ME and “Inland Landscapes” at the Maine Governor’s State House Gallery, Augusta, ME. Presently Phyllis is making painted wood wall reliefs with color influenced by three trips to India.